Leighton Ford, the renowned evangelist who to me is simply neighbor and beloved friend, will be in conversation with me and our church family next Monday at 7pm. The topic? His beautiful new book, Places of the Heart. Leighton, I found out a few years ago, is a talented and visionary painter. The book is a collection of his paintings, with wise, thoughtful spiritual reflections. One made me ponder why Church Matters. 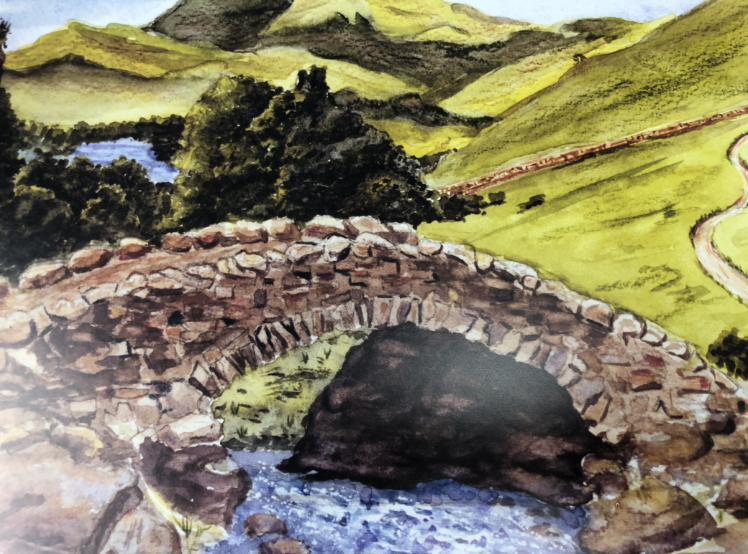 While in the Lake District of England, he painted the Ashness Bridge, picturesque, connecting a single track road across a stream. As Leighton sketched the bridge, he pondered who might have crossed it over many years? And who was the builder who designed the place the stones so well that it would bear the weight of generations to come? Leighton said “Bridges are a metaphor for what bears the weight of our souls and not only our feet.” I like to imagine the Church as just such a bridge. People need a way to God, a way to welcome. They need a bridge to traverse the dangerous waters of life and the world. They need a bridge they can trust to cross over into the life of faith, hope and love. I remember with continuing delight even today sitting in Mrs. McClain’s 9th grade Latin Class and discovering the vocabulary word pontifex. We translate pontifex as “priest.” But if you break it down to its Latin roots, it means literally “bridge-builder.” Church people are to be bridge-builders. Yes, the priest, the pastor, the rabbi is a bridge-builder for the congregation: I’m not putting on a show or talking at anybody; I’m building a bridge to God, trying even to be that bridge, if I can bear someone’s weight and move them along toward God. Church people aren’t club members, or people huddling together in hiding. We are the bridge for whoever is coming along the way. A bridge isn’t attached to one side only, but firmly planted on both banks. The church is in the world, and in God’s kingdom, both. We know the realities of the culture, the brokenness of people – and not surprisingly, with nothing but humans to work with, we are flawed, lost, confused and in grave need of help. And yet we’ve glimpsed God. We have tasted the goodness of the kingdom. We know the way. So we are a bridge from the world into the heart of God. Who wouldn’t be excited about being a stone in such a lovely bridge? Church matters in just this way.